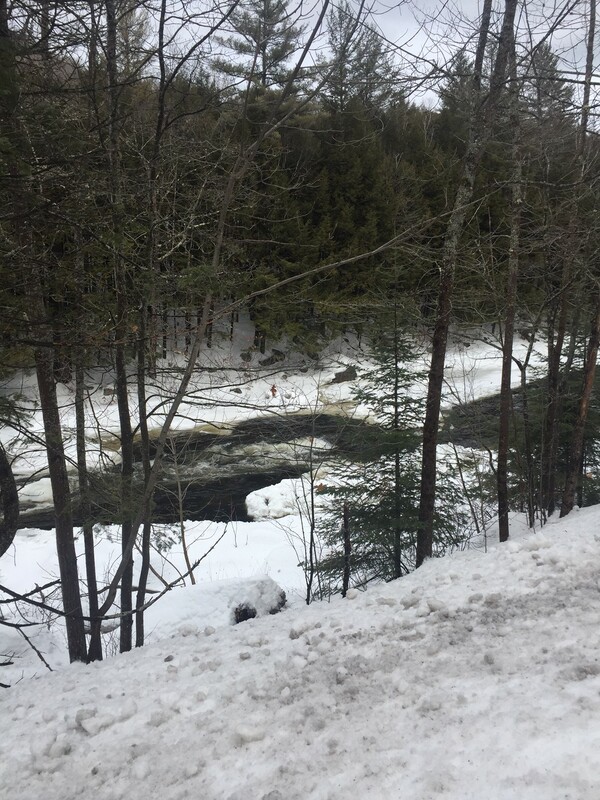 As I was winding my way through the Keene Valley this week en route to Lake Placid and Whiteface Ski Area, I was once again reminded why this road is voted one of the most scenic highways in the country. It is winter in the North Country and despite all the conversation of global warming, this region not only gets winter weather, but the residents enthusiastically embrace it. 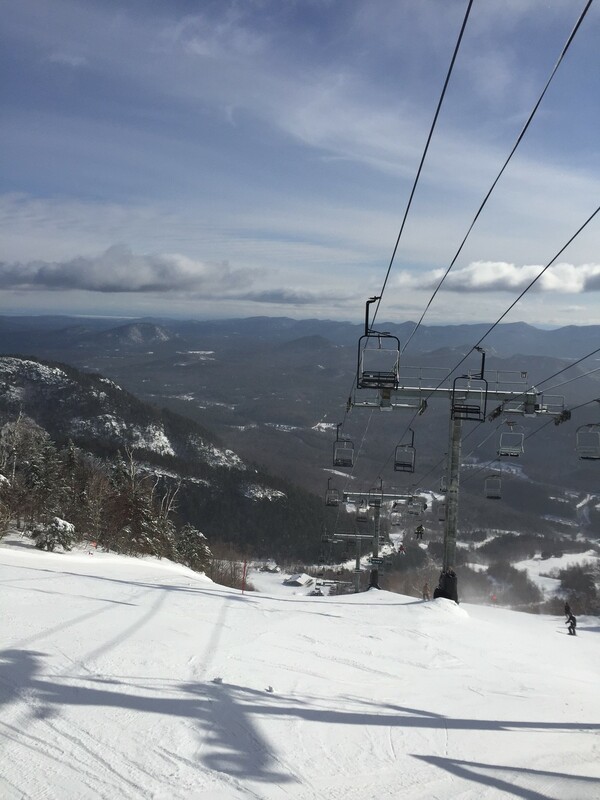 Whiteface was the scene of the 1980 Olympic alpine skiing events and my group of aging enthusiasts skied the Summit Chair reveling in the crystal blue skies and packed powder of the runs that once served as the start of the women’s and men’s downhill. Following a great day on the mountain, Lake Placid offers an atmosphere that still is electric with Olympic fever. 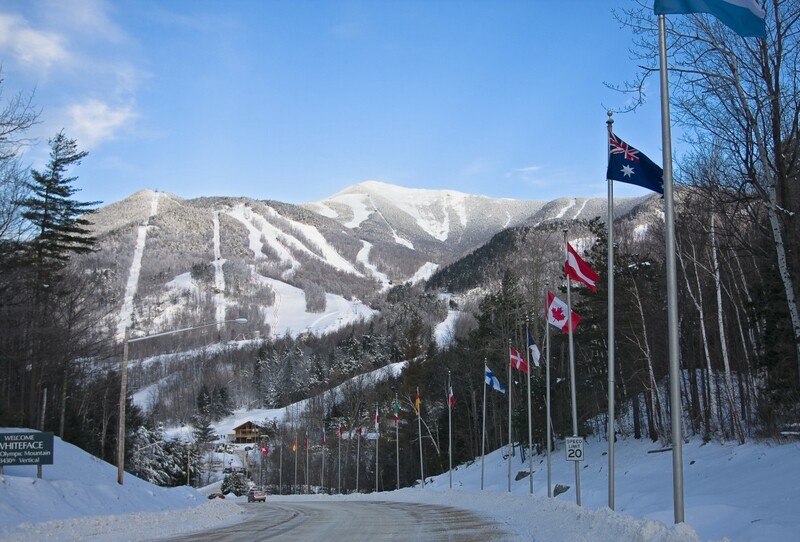 Lake Placid was the host of the Winter Olympics in 1980 and 1932 and the Olympic Regional Development Authority manages all of the venues which still offer competition sites for many different winter sports to this day. Every year, I make the journey to the Adirondacks to see my old friend Mike Smith who owns a marina on Lake George. Joining us this year, making the trip from Randolph Center, Vermont, was another friend Mark Hutchinson. Hutch coached ski racing at Stowe for 20 years and at 150 days per year in those days, he has a lot of experience in those legs of his. Couple this with Mike Smith, my skiing, sky diving, acrobatic plane flying, speed boat selling, motorcycle riding, gas pedal to the floor friend, you have the recipe for a couple of days of great skiing in a beautiful venue. But more than the skiing, there are many reasons that I like visiting the Adirondacks. First and foremost, the scenery of the High Peaks region is incredible. As you wind your way through the mountains, along some of the most picturesque streams, and the Hudson River, you see nature at it’s finest. The roaring rivers choked with ice are a dramatic reminder of the power of water. The trees at the summit of the mountains remind you of giant ice cream cones covered in a white frosting. But another part of the Adirondack experience lies with the people themselves. Sitting around Bean’s Country Store in Queensbury, New York, you have a relaxed atmosphere of sitting over a coffee and talking to the locals who regale you with tales of snowmobiling, and skiing, with really no rush to go anywhere. The people are hard working and used to braving the elements, but you get the sense that they love living where they do and the harsher the winter, the more they embrace it with their enthusiastic attitude. We made our way to Gore Mountain yesterday which has that Adirondack feel to it. 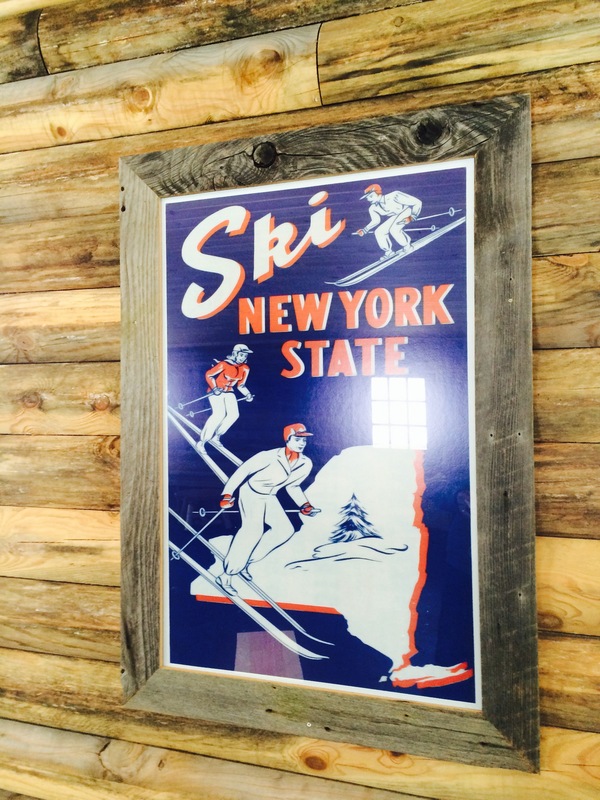 But as most ski areas that are run by the State of New York,there is not much real estate development, which leads to a private ski club atmosphere. 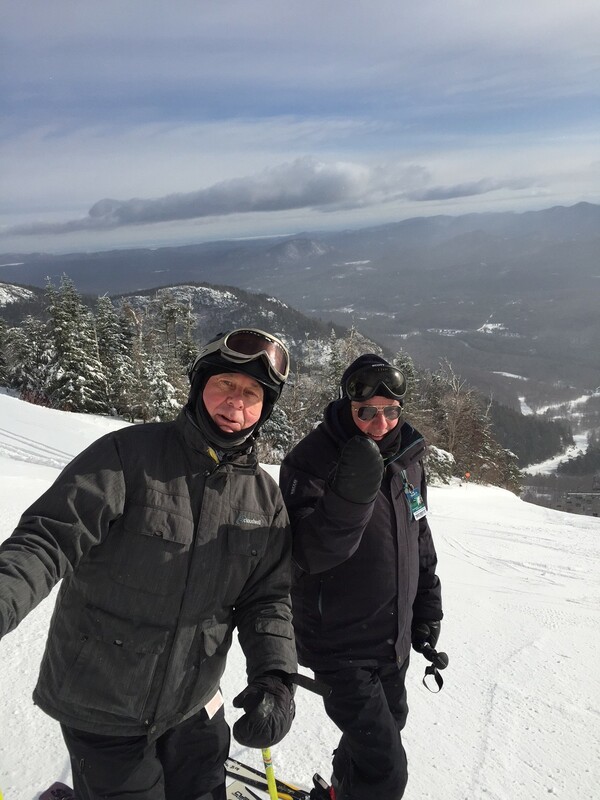 The Backwoods Ski Club meets there regularly which basically is an organization of local retirees and active people in the ski community whose sole purpose is to enjoy skiing and sit around and talk about it over a meal and a cold one. No dues, no meetings, just show up and ski together. The oldest member is 91 years young. It is so neat to hear his tales of life in the Adirondacks back in the early part of the 20th century. At Gore, you can ski two of the steepest runs in New York State. Rumor and Lies both make you think about that first turn and it is not a rumor or a lie to say that they are challenging. But the locals love it when the challenge is extended to outsiders. The fireplace at the end of the day offers definite rumors and lies about the performance of the skiers that day, but the smell of that fireplace along with a beverage is one of the reasons why I always return to the Adirondacks year after year. Making my way home along NY State Route 8, I am always amazed at how remote some sections of the Adirondacks can be. I took some pictures and hardly ever saw a truck or a car along the route. 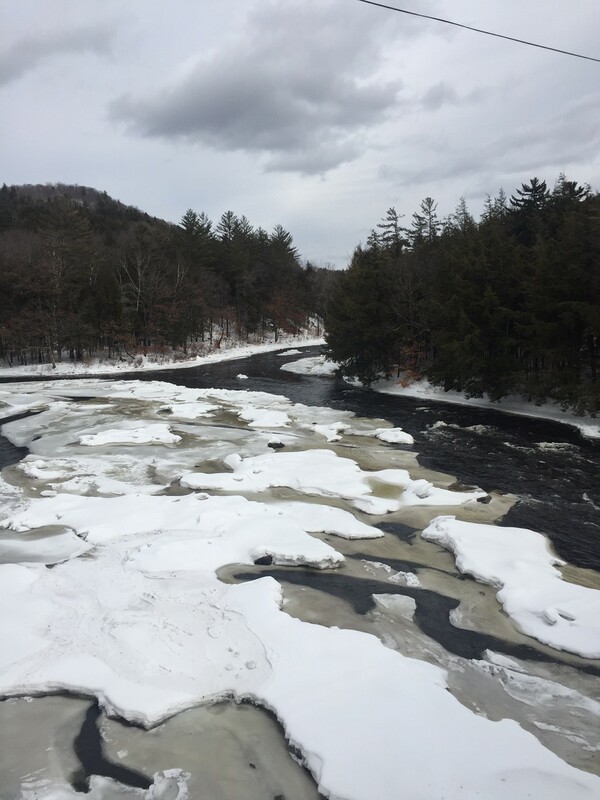 The North Country is rugged and although my wife likes the summers in Lake George and the vistas from Mike Smith’s Pilot Knob Marina deck, I personally like the winters. Not just for the skiing, but taking in the whole atmosphere of small towns, crystal clear streams, the High Peaks, and the charming Olympic town of Lake Placid. Nothing like a cold beer at The Cottage looking out on Mirror Lake where you can see pick up hockey games everywhere. Sometimes I think I am misplaced living down here in the banana belt where you have to be tenacious to ski and get your days in. But it is nice to know that I have good friends in ski country and if you make the effort to visit, their welcome is enhanced by the region of the country that offers great vistas and challenging terrain. Think Snow. I want some more winter before it is all said and done. Thanks for reading. 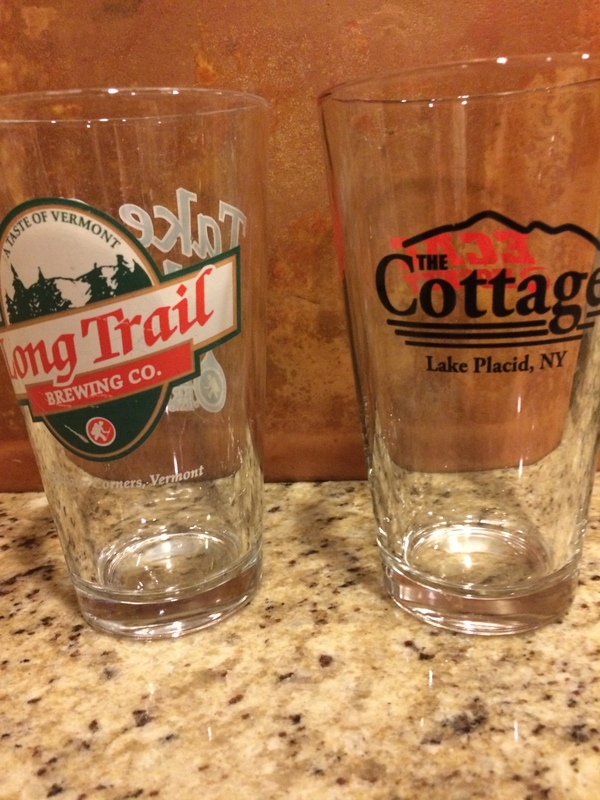 This entry was posted in American Culture, Culture, outdoor activities, outdoor sports, Outdoors, Skiing, winter sports and tagged Beans Country Store, Gore Mountain Ski Area, Lake Placid, Olympic Regional Development Authority, The Cottage- Lake Placid, Whiteface Ski Area. Glad to hear that Mike Smith is “still in the game”. I’m assuming you are talking about Mike Smith from the 70’s at Seven Springs and owner of the first Subaru on the mountain. Hemingway would be proud of you. More snow. It’s very cool up there. Thanks for the reminder!